Ron’s career has spanned decades and continents. Born in Adelaide in 1929, he studied at Adelaide Conservatorium, making his stage debut in 1946 at the Tivoli Theatre Adelaide. In 1953 Ron was invited by Anthony Quayle to join the Shakespeare Memorial Theatre, now the RSC, and toured Russia with them in 1958. In Australia Ron appeared in almost forty productions for the Old Tote, and had a long association with the Sydney Theatre Company, Marian St Theatre, Bell Shakespeare Company and the Ensemble Theatre. 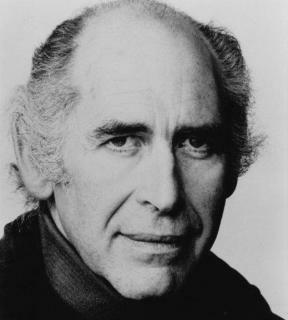 In 1987 he was awarded the Sydney Theatre Critics Award for his roles of Nat Moyer in I’m Not Rappaport and James Tyrone in Long Day’s Journey into the Night. Ron has appeared extensively in television and film and has performed in literally hundreds of radio dramas, special features and poetry readings. He has recorded the Good News translation of THE BIBLE for the Bible Society of Australia. In 1997 Ron recorded the voice of Banjo for the film CARNIVALE for Anura Limited. Ron was appointed to the Theatre Board 1973-74. He was a member of the Board of NIDA for many years. He was awarded the MBE for his services to the arts in 1974. In 1995 Ron was appointed Governor of The Actors Benevolent Fund in NSW. He has also served on the board of Marian Street Theatre.